Old Mission Associates, a local landscape company established in 2004, is run by a hardworking, educated, and motivated young team whose common goal is continual improvement through working together to deliver the best possible project for each site. We are members of Michigan Landscape and Nursery Association (MNLA), National Association of Landscape Professionals (NALP), Michigan Natural Shoreline Parnership, Northwest Michigan Invasive Species Network and the local Chamber of Commerce here in Traverse City. 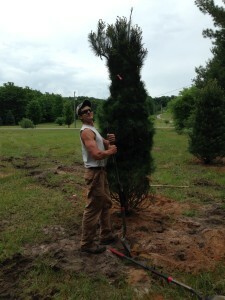 Jordan has owned and operated the business here in Northern Michigan since 2004. With over 10 years of experience in the landscape and lawn industry, he strives for excellence within the company and throughout the community. A graduate from Michigan State University’s Landscape and Nursery Management program, helps provide extensive knowledge of lawncare, landscape construction and business management. Working for the Turfgrass Research Center while at MSU, and student teaching MSU extension classes in Traverse City has been part of his continued education. Jordan is a member of the Michigan Natural Shoreline Partnership, as well as a Licensed Pesticide Applicator. 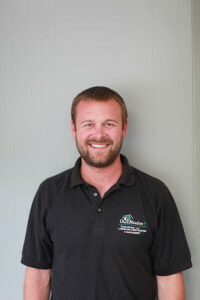 Jordan joined the team in 2005, and has over 10 years of experience in the Landscape Industry. Jordan is in charge of running multiple landscape crews and helping out with the day to day operations with OMA. Planning, scheduling, budgeting and site visits with clients is crutial to his role to make sure that a project is completed on time and budget. Throughout the winter months, he oversees all commercial snow removal. 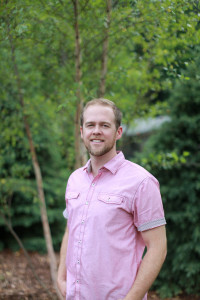 A member of the MNLA(Michigan Landscape and Nursery Association) and NALP(National Association of Landscape Prefessionals) Jordan continues to attend trade shows, seminars and landscape conferences throughout the year to further his knoweledge in the industry. Jordan Was raised on the Old Mission Peninsula and throughly enjoys the outdoor lifestyle. His skills in project management and experience in the industry make him an essential part of the OMA team. 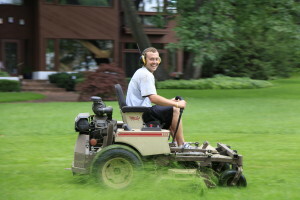 Heading up the Lawn & Landscape Management division, Zach has been with Old Mission Associates since 2009. As a Certified Pesticide Applicator and knowledgeable pruning specialist, we can assure the proper care of your lawn and landscape. His positive attitude and his attention to detail as made him an ideal member of the Old Mission team. Old Mission Associates landscape designer, graduating with a Landscape Architecture degree from Michigan State University. His education included European study from which he draws design inspiration. His experience in the industry allows him to walk clients through the initial design phase to the finished product. 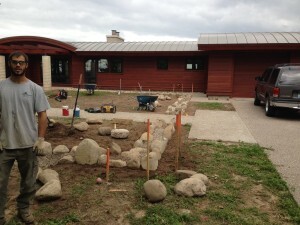 His experience in landscape design is one of the most essential aspects the Old Mission Associates. A voulenteer for the Invasive Species Network here in Northern Michigan, and a member of the Michigan Natural Shoreline Partnership helps keep the company connected throughout the community. Graduated from MSU’s Horticulture program, Dave has had previous experience with fertilizer applications and working on large hardscape projects in Southern Michigan. Working together with our landscape designer and project manager, he has been able to deliver endless projects that have exceeded the expectations of our clients. Dave is a Licenced Pesticide Applicator and also assits with teaching at the Michigan State extenstion here in Traverse City. 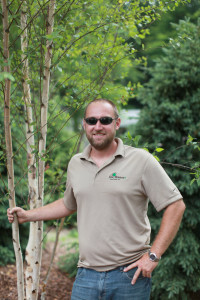 A Graduate of Michigan State’s Horticulture program, Josh has been part of the Landscape Industry since 2004. With extensive knowelge of plants, pruning and the general health care of landscapes, he has excelled with OMA. When our designer comes up with difficult projects, Josh is always at the forefront to figure out the best way to complete these. A hardworking and motivated team member always ready to get the job done! Let our talented team get started on your next project!